In 1998, astronomers studying supernovae made the surprising discovery that the expansion of the Universe was accelerating; their work was recognized by the 2011 Nobel Prize. The mysterious stuff driving this acceleration was named ‘dark energy’, and is now known to account for about 70% of the Universe’s density. 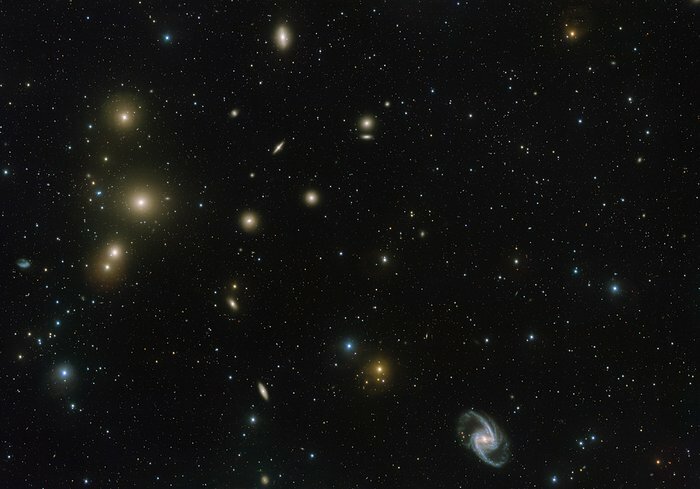 There are a number of proposals for what dark energy is, ranging from Einstein’s cosmological constant to scalar fields to modifications to General Relativity on cosmological distance scales. Understanding the nature of dark energy is a major area of research in modern cosmology.